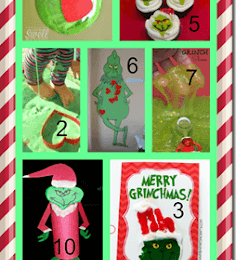 My kids love slime recipes and they love anything Grinch so the pairing of the two made sense! 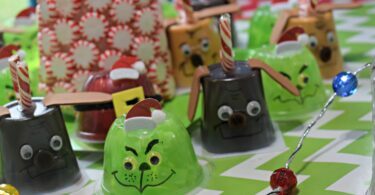 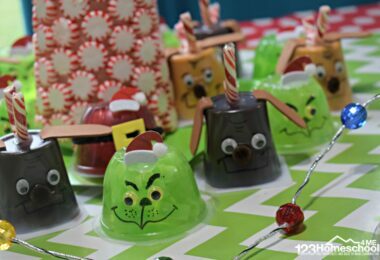 Get ready for an outrageously fun Mr Grinch Slime Recipe that is so fun your kids will beg for more! 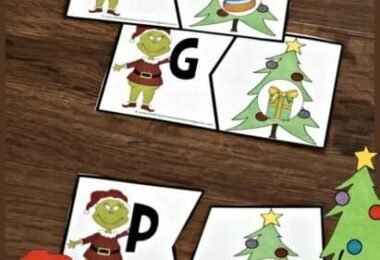 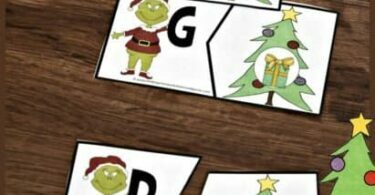 Kids will have fun practicing matching alphabet letters with the sounds they make in this super cute literacy activity perfect for December. 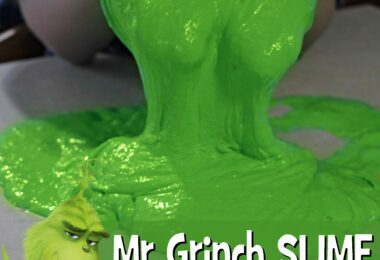 One of our favorite books in December is The Grinch by Dr. Seuss. 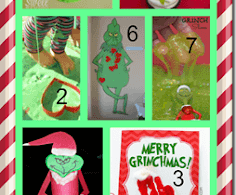 Here are 22 Grinch Crafts and Grinch Kids Activities to keep you playing and making Christmas Crafts for kids!